It’s still summer. But across much of Southern Idaho, it’s election season too. Eleven districts will go to voters Tuesday, seeking close to $207 million in bond issues and levies. Here’s a look at what’s on the ballot. Idaho Falls: $99.5 million bond issues. Nine months after voters rejected a $110 million proposal, the Eastern Idaho district is taking another run at a controversial building upgrade. The fundamental goal is unchanged from November: modernizing and replacing its high schools. According to sample ballot language, the two separate bond issues would cost $181 per $100,000 of taxable property. District officials say the district’s increasing tax base will cover the cost of the bond issues, and property tax rates will remain unchanged. Critics are skeptical. Bond issues need a two-thirds supermajority to pass. November’s proposal received 58 percent support. Click here for an in-depth story on Idaho Falls’ proposals. Jefferson County: $36 million bond issue. The Eastern Idaho district seeks to build a new elementary school, renovate two existing elementary schools, add playground equipment at Roberts Elementary School and add a paved parking lot at Rigby High School. The district says “unprecedented” growth is driving the need for new elementary school space; enrollment increased by 5.8 percent in 2017-18. The estimated cost of the bond issue is $177 per $100,000 of taxable property. But because the district’s tax base is growing, district officials say the proposal will not increase tax rates. Middleton: $28.8 million bond issue. The big ticket-item is a new elementary school for this growing district in Canyon County. Other money would go into security upgrades, renovating Heights Elementary School and acquiring land for future school sites. The district’s argument for the bond issue is little changed from March, when a proposal received 60 percent backing, but fell short of the needed two-thirds supermajority. Two of the district’s three elementary schools are over capacity, including Heights. The bond issue would cost $137 per $100,000 of taxable property value. Bonneville: Two-year, $11.6 million supplemental levy. The East Idaho district says the levy would go toward teacher salaries, classroom technology and gifted and talented programs, among other items. District officials say the renewed levy would not increase the tax rate; Bonneville collected an identical levy in 2017-18. But the timing of the levy comes weeks after trustees quietly agreed to a payout with retiring Superintendent Chuck Shackett, with a price tag hovering at about $200,000. Unlike bond issues, supplemental levies need only a simple majority to pass. Gooding: Ten-year, $9.5 million plant facilities levy. Plant facilities levies can cover a variety of building projects and repairs. If Gooding’s levy passes, the district plans to use the money on new security cameras and doors, a new fire alarm system and probably a roof replacement project, according to the Twin Falls Times-News. The supermajority threshold for plant facilities levies varies based on the size of the proposal. This levy needs 55 percent support to pass. Wilder: $5 million bond issue. The Canyon County district hopes to build a new lunchroom and kitchen and vocational-agricultural classrooms and a shop. Also on the ballot: A levy to continue to fund Wilder’s membership in the Canyon Owyhee School Service Agency, a cooperative that provides professional-technical services, special education and gifted and talented and alternative programs to students in five districts. The bond issue would cost about $150 per $100,000 of taxable property value. Parma: $5 million bond issue. The Canyon County district’s to-do list includes a new agriculture education building, expansion of the high school band room, updated athletic facilities and security upgrades. The cost comes to about $77 per $100,000 of taxable property value. Richfield: $4 million bond issue. The rural Magic Valley district’s proposal covers three projects: a new gymnasium, a new agriculture education building and a new heating and air conditioning system in the main school building. The cost comes to about $259 per $100,000 of taxable property value. Madison: Two-year, $3.99 million supplemental levy. Madison’s priorities are purchasing new textbooks, upgrading classroom technology and restoring two days to the school year. The district hopes to renew a levy that has been on the books for three years. Aberdeen: Ten-year, $2.75 million plant facilities levy. Payette: Two-year, $800,000 supplemental levy. The district would use the bulk of the money to backfill classified staff salaries and replace curriculum materials. It’s another levy renewal: the district collected about $394,000 in 2017-18. Check back Wednesday for complete election results. In response to House changes, Senate Education Committee Chairman Dean Mortimer pulled the bill back to committee. The nailbiter in Canyon County was symptomatic of a rocky election day across the state. See complete results inside. From Boundary County to Fremont County, March 12 will be decision day for school patrons. See what’s on the ballot in your corner of Idaho. 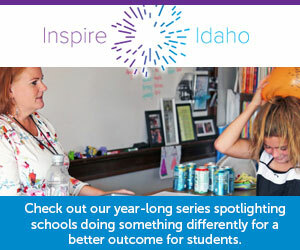 Across Idaho, 93 of Idaho’s 115 school districts continue to rely on extra help from local taxpayers. The state’s largest district says the state should help pay the price of growth by covering half the cost of school bond issues.